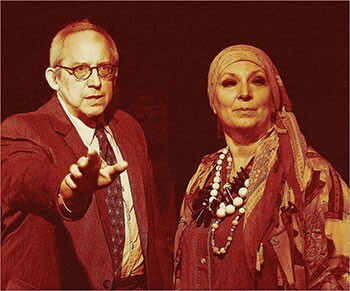 The aim of Cesear’s Forum: to produce plays that combine social commitment with theatrical experimentation, works that shine light on the gamut of human experience. Earned income through box office revenue is not enough to sustain the work we do. Individual donors are essential to healthy balance sheets, as are corporate, private foundation and government funding sources. 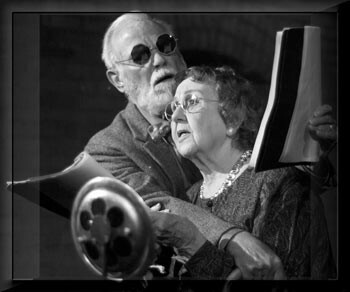 German sculpturer, Willi Schmidt once said, “the dignity of a nation will not be judged by her ability to make money, but by her ability to produce art.” We ask you to help Cesear’s Forum continue to produce art in northeast Ohio by making a tax-deductible contribution. Your gift will not only help with our immediate operating expenses but will demonstrate necessary individual and community support. A gift in any amount would be greatly appreciated and we will be proud to list you as a contributor in our 2019 production program. Together, we will continue our pursuit as a minimalist theatre company, dedicated to production excellence through unique, timely and often unknown plays. Please let us add your name to our list of supporters. 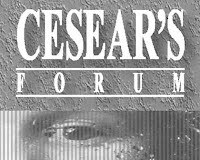 Contact Cesear’s Forum at Cesearsforum@aol.com with any fundraising questions or ideas. All fundraising proceeds cover the operating and artistic costs of our season.